I recently joined the TwoPointOhLA bloggers network, and was invited as a member to a Pre-Fashion Week Party in downtown LA at The Falls Lounge. It was just a party to kick off LA Fashion week which starts March 14 - March 18. 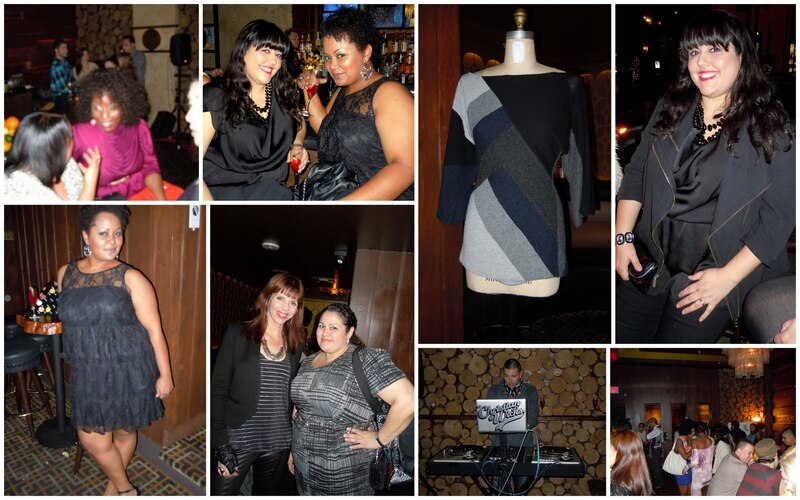 I got to meet many other LA fashion & beauty bloggers, along with hanging out with my fave curvy LA gals. There was plenty of cocktails, rocking tunes and fashion every where. There were 2 special guest designers Mila Hermanovski from Project Runway and Sarah Brannon of Chelsea Rebelle. I am excited to attend some LA Fashion Week shows this year and look forward to more TwoPointOhLA events. Come back and check out all the post from LA Fashion week, I hope to bring some of the best LA has to offer! Wow. Your outfit is hot!!! Love the fishnets, great pop of color!! !